Part of Analogue Productions’ reissue of the Norah Jones’ solo catalog, featuring the individual albums Come Away With Me, Feels Like Home, Not Too Late, The Fall and Little Broken Hearts. 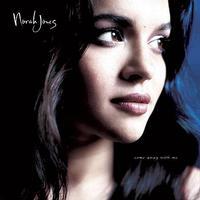 Each album is also featured in exclusive LP and SACD box sets that include Norah’s Covers album! The winner of eight 2003 Grammys, Come Away With Me was Norah Jones’ breakthrough triumph. Hits like the signature cut of this record "Don’t Know Why," have never sounded clearer and more sensual. Close your eyes and you’ll swear you’re sitting in the recording studio, watching the magic happen. Jones’ debut on Blue Note was immaculately produced by the great Arif Mardin. Jones, the the daughter of Ravi Shankar, is not quite a jazz singer, but she is joined by some highly regarded jazz talent: guitarists Adam Levy, Adam Rogers, Tony Scherr, Bill Frisell, and Kevin Breit; drummers Brian Blade, Dan Rieser, and Kenny Wolleson; organist Sam Yahel; accordionist Rob Burger; and violinist Jenny Scheinman. Her regular guitarist and bassist, Jesse Harris and Lee Alexander, respectively, play on every track and also serve as the chief songwriters. Both have a gift for melody, simple yet elegant progressions, and evocative lyrics. I like this album a lot, but compared to 24-bit 192Khz, I couldn't find too much difference. Still, I'm just going to play it in DSD from now on. While I'm using two PCM only DAC's to form an opinion on this ( RME Pro DAC and Tube hybrid ), I found this DSD a very good purchase.It has clarity, depth and good tonal balance. Importantly for me, it has a maintained dynamic range compared to some others I've heard. I agree with the above comments. Excellent quality. I'm very happy with this purchase. The album sounds fantastic! Norah's vocals are as crisp and clear as you could ever hope for. All the instruments are isolated and easy to hear, with plenty of punch! The songs are really nice too. I never liked this album, until now. I've owned this album on CD, SACD, and Vinyl. I have to say I never cared for this album, in any format, until this DSD download. It's beautiful, and for the first time I truly understand why she won a Grammy for it. I'll have to try the hi-res PCM and see if it's the format or the remastering. another great dsd album download. much better then the SACD disc i have.great vocals and supporting instrumental tonal accuracy.